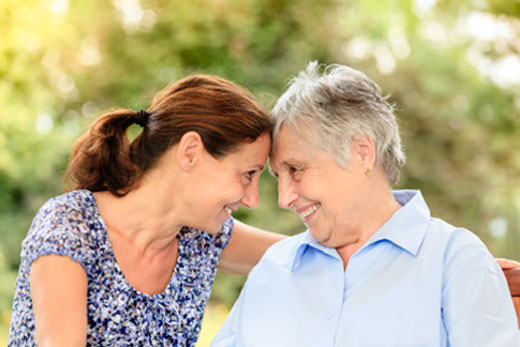 Support for employees caring for adult dependents is among the work-life programs earning Emory the Work-Life Seal of Distinction. 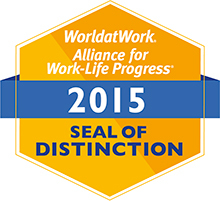 For the fourth consecutive year, WorldatWork’s Alliance for Work-Life Progress (AWLP) has awarded Emory University with the Work-Life Seal of Distinction. The national award recognizes employers that support employees in achieving success both at work and at home through effective workplace strategies and practices. Emory is one of 77 organizations to be recognized at the Work-Life Awards Gala at the WorldatWork Alliance for Work-Life Progress 2015 Future of Work Forum on March 17 in Nashville. "Emory is committed to strengthening our programs and resources to support our faculty and staff in the area of work-life effectiveness,” says Peter Barnes, vice president of Human Resources. “Receiving this designation for a fourth year demonstrates that we are on the right track. We are truly honored to be recognized by the AWLP." Audrey Adelson, manager of WorkLife Programs for Emory, has been selected to receive the 2015 AWLP Work-Life Rising Star Award. 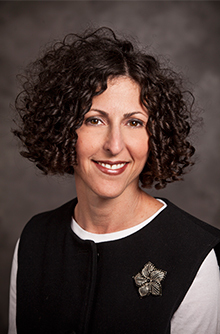 In addition to receiving the Seal of Distinction, Emory’s own Audrey Adelson, manager of WorkLife Programs within Human Resources, has been selected to receive the 2015 AWLP Work-Life Rising Star Award. Adelson leads the Emory Work Life Resource Center, and serves as a subject matter expert for the campus regarding flexible work arrangements, dependent care and other initiatives to support the work-life effectiveness of Emory employees. Now in its ninth year, this award recognizes stellar individuals who exhibit a combination of professional and personal attributes that demonstrate emerging leadership and growing contributions to the work-life community. Adelson will also be honored in Nashville on March 17.